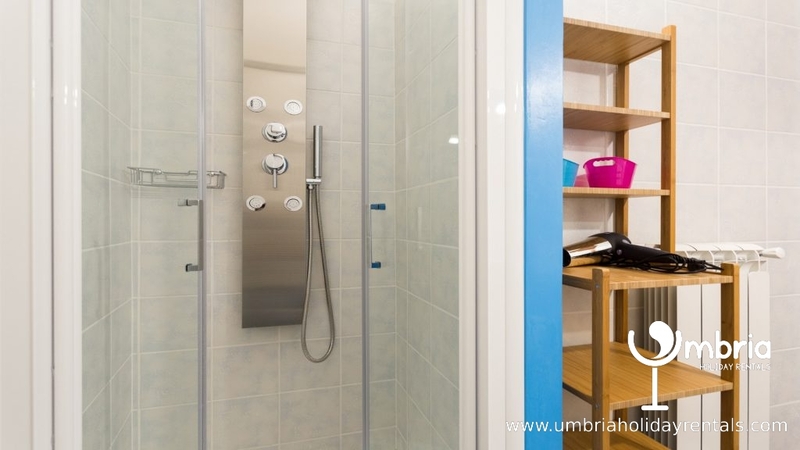 APARTMENT NOT SUITABLE FOR THOSE WITH MOBILITY ISSUES ! 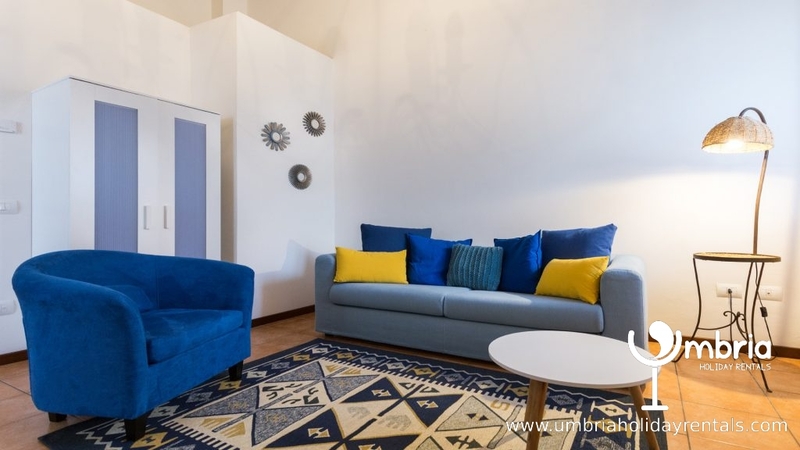 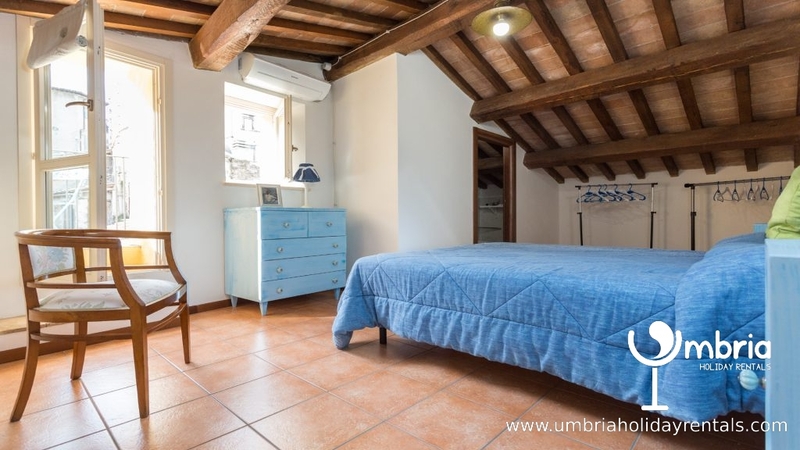 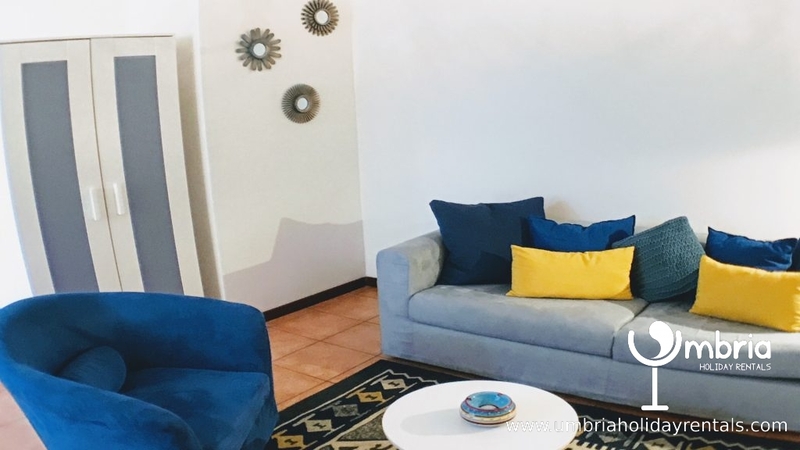 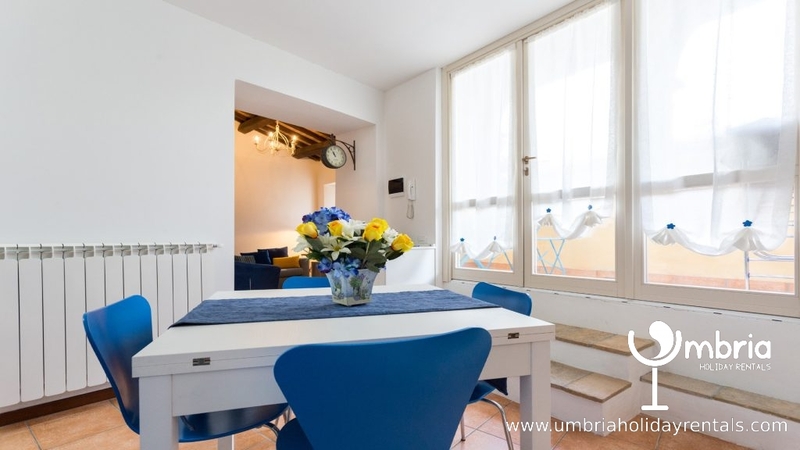 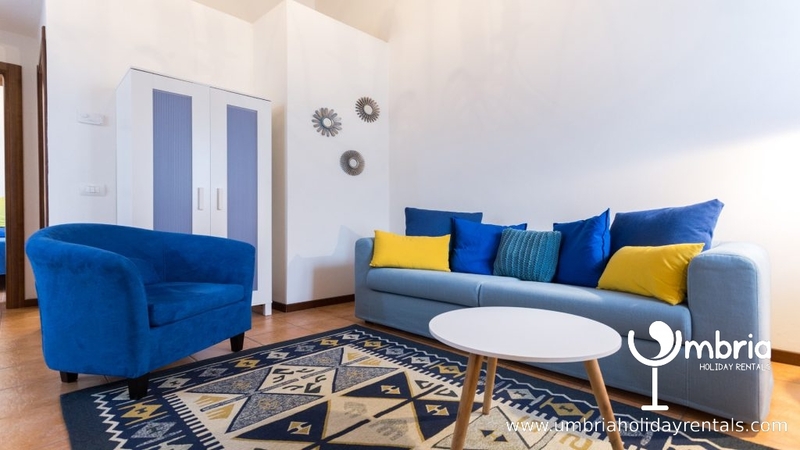 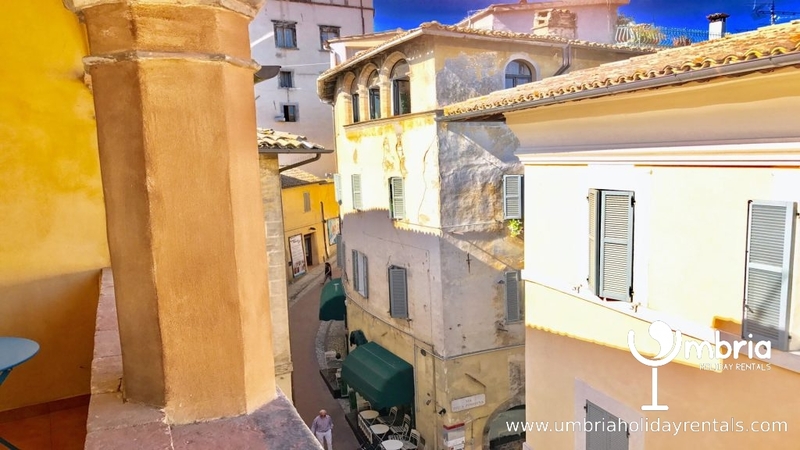 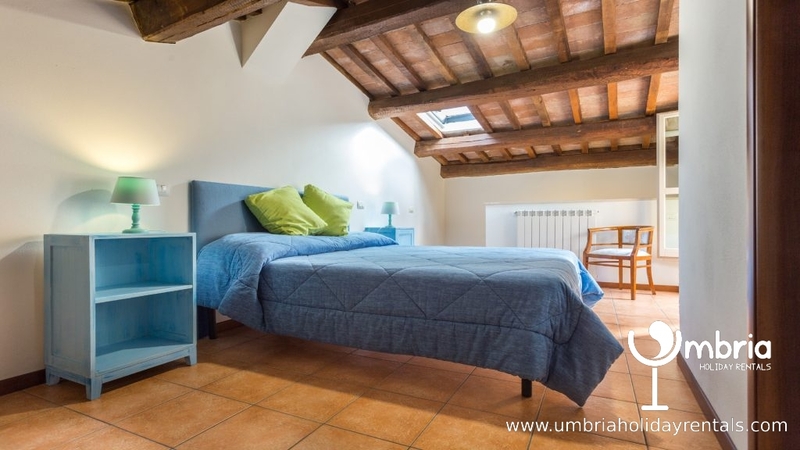 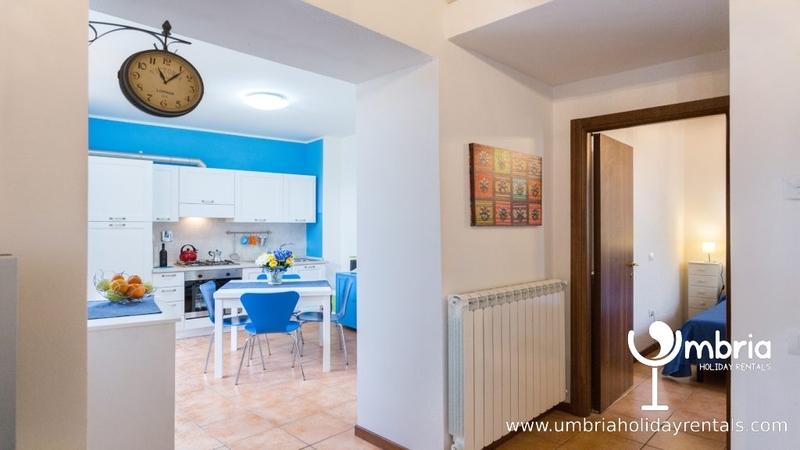 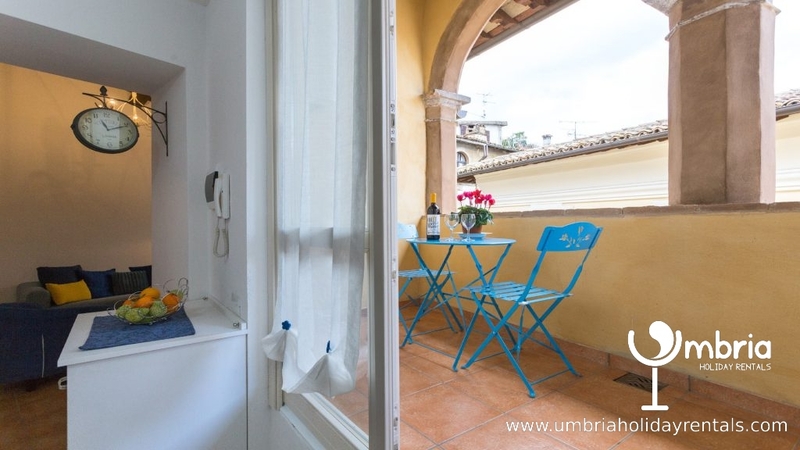 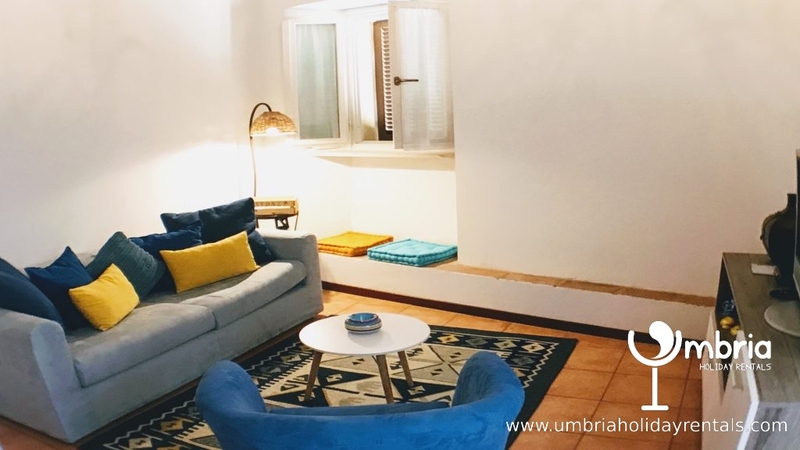 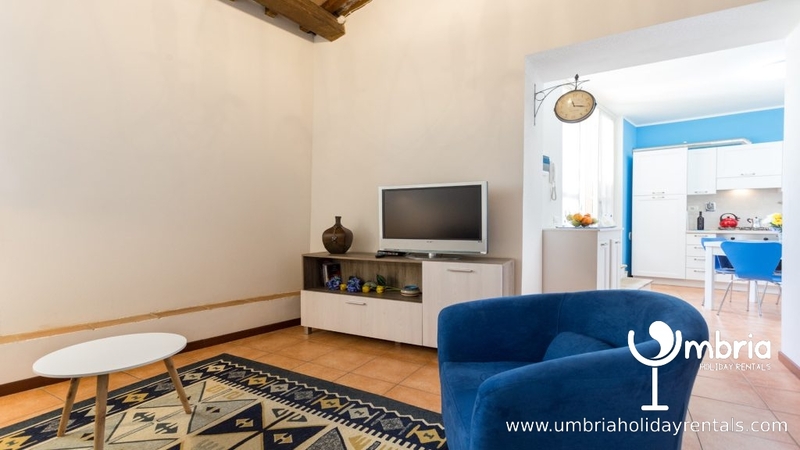 LUXURY APARTMENT – ENTRANCE ON VIA DEL TRIVIO – 60 EASY STEPS UP TO APT AT TOP OF 12C PALAZZO – INSIDE, 10 STEPS UP TO MASTER BEDROOM WITH BALCONY FOR 2 + ENSUITE. 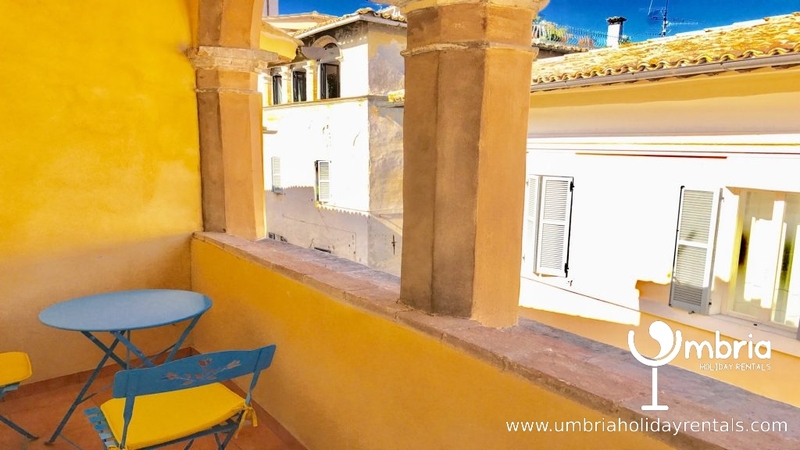 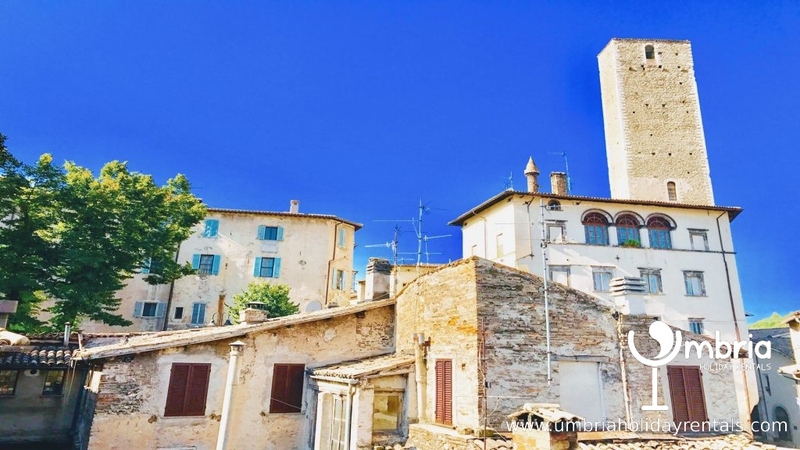 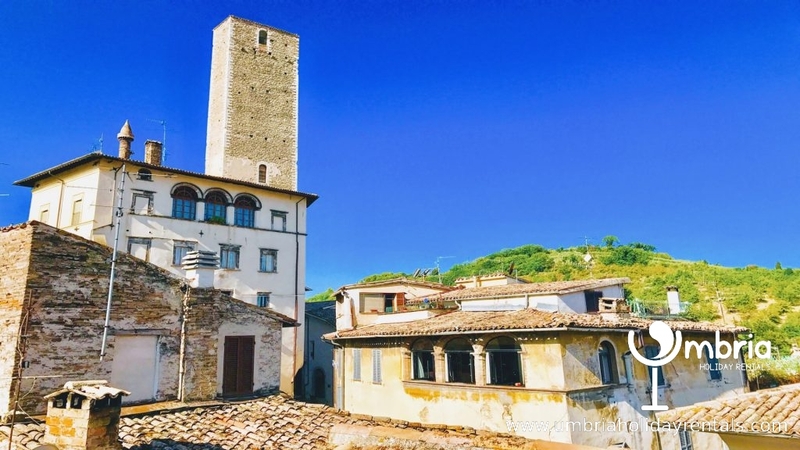 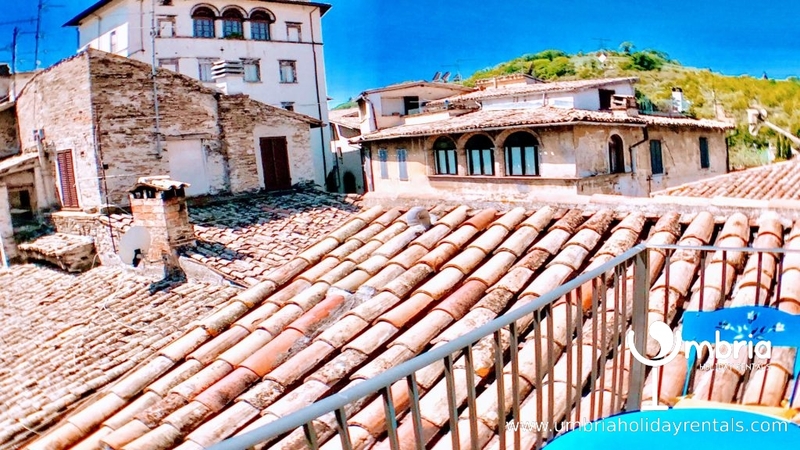 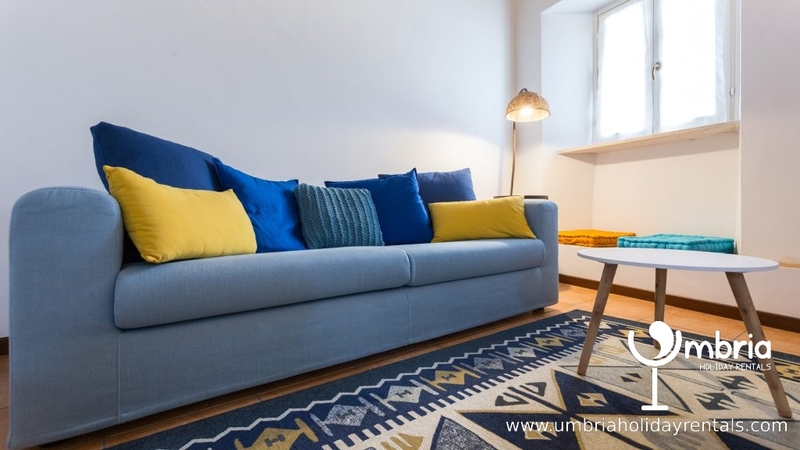 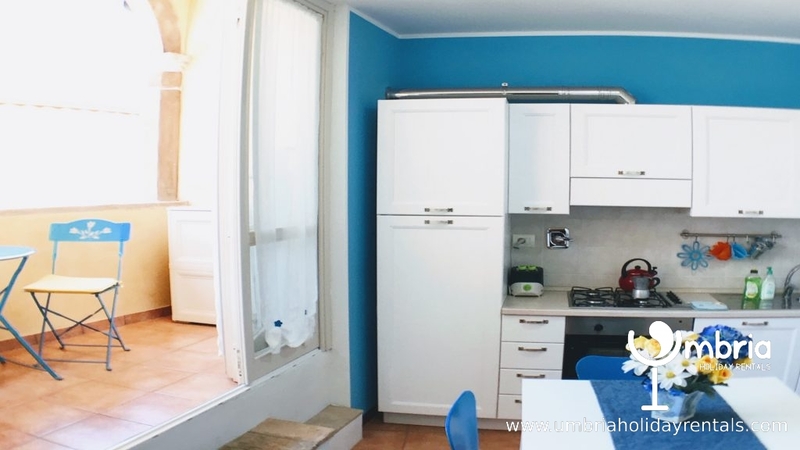 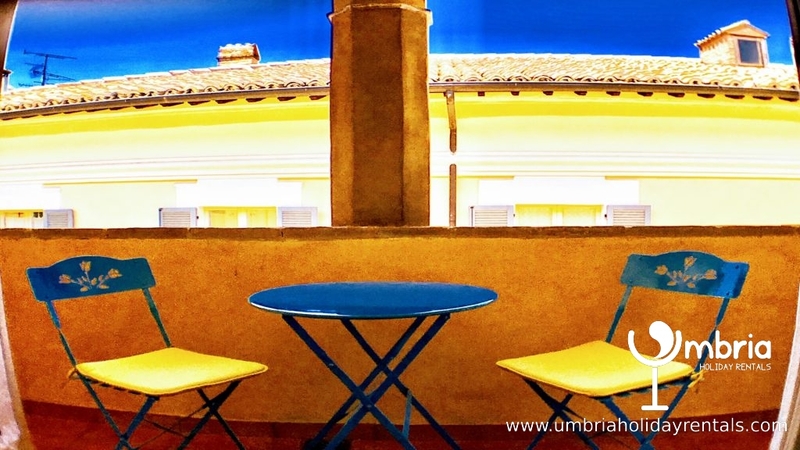 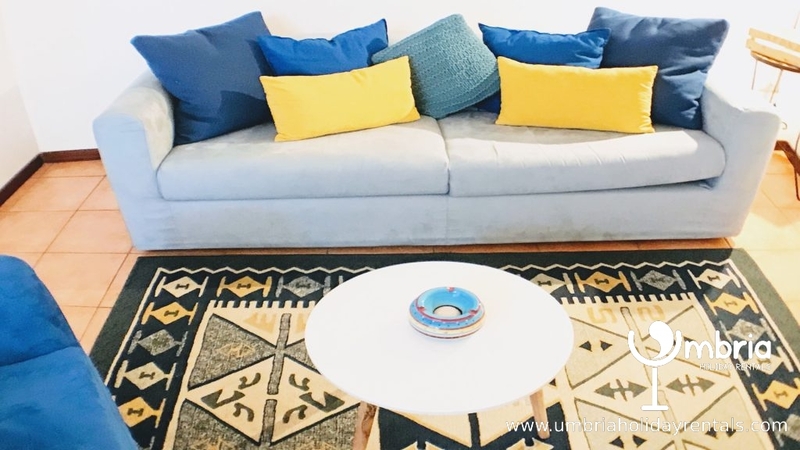 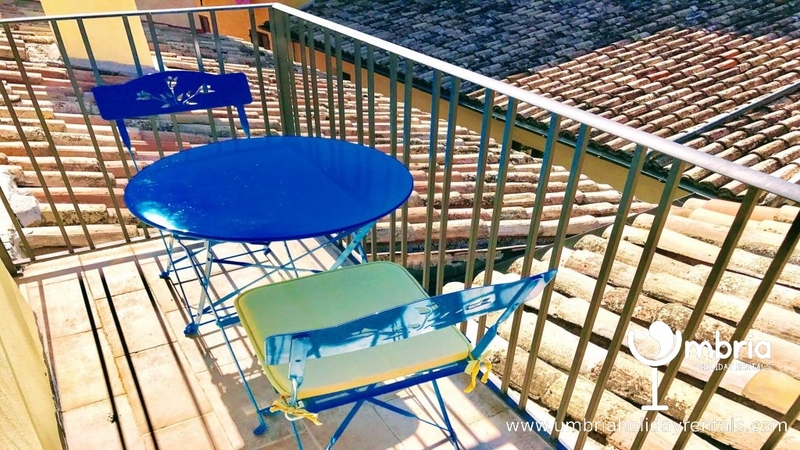 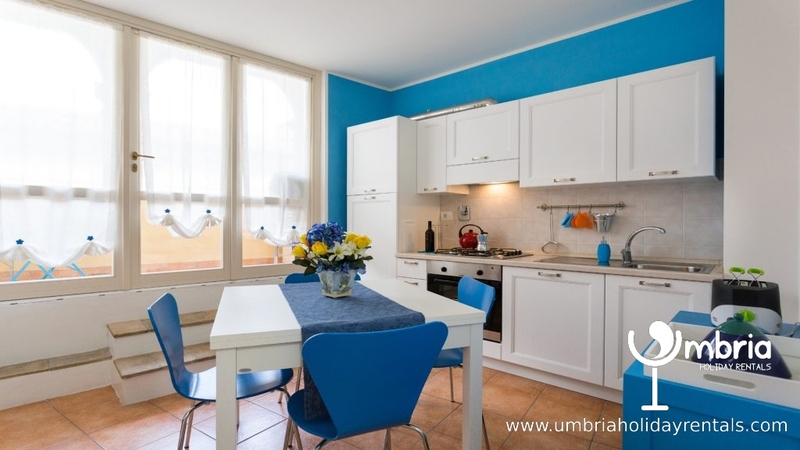 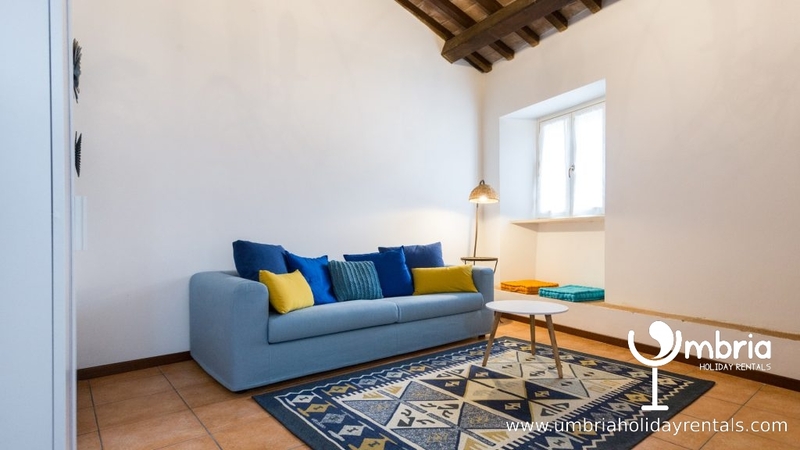 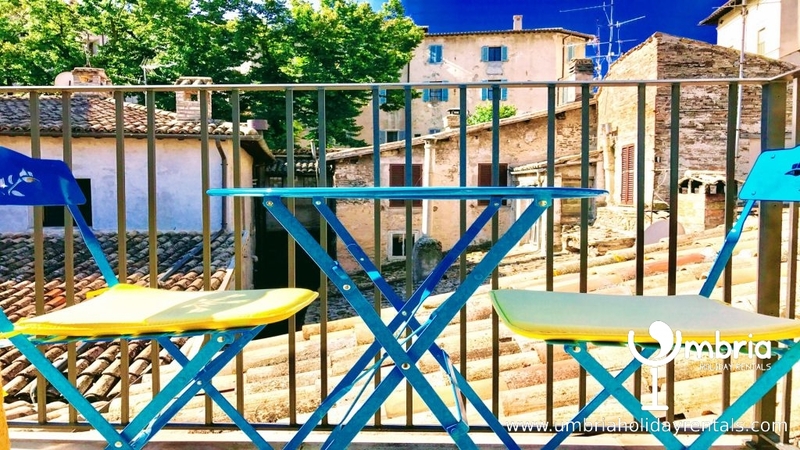 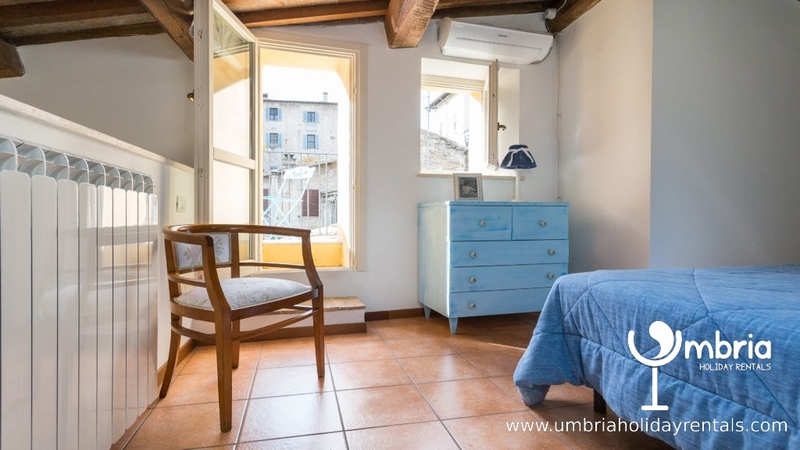 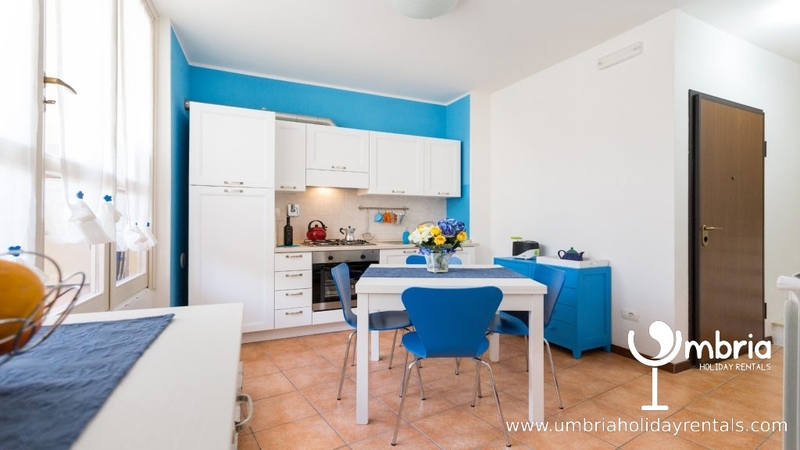 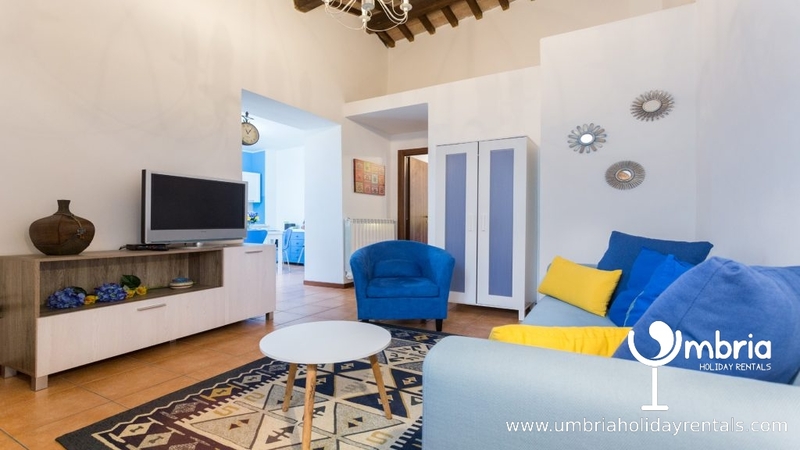 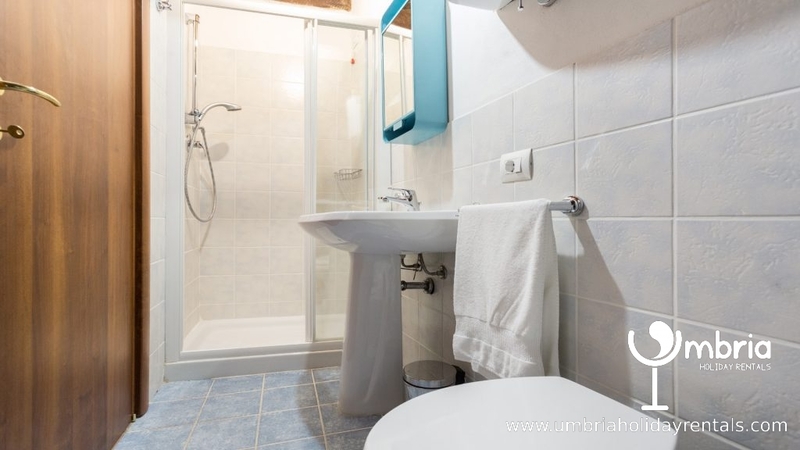 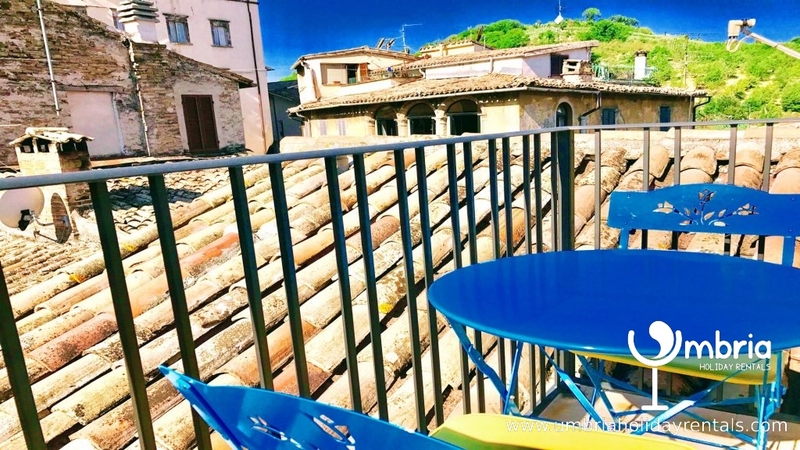 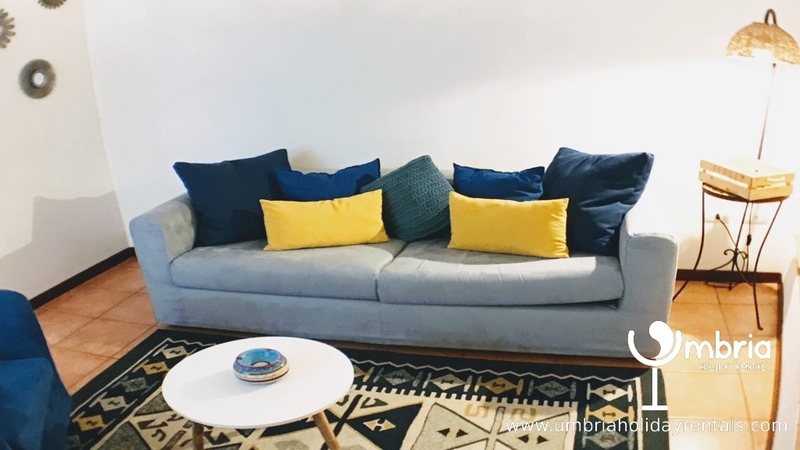 In perfect location, an extremely cute apartment, newly restored, in historic part of Spoleto, surrounded by shops, bars and restaurants, 3 mins walk from travellator, which will take you to anywhere you wish to go in Spoleto. 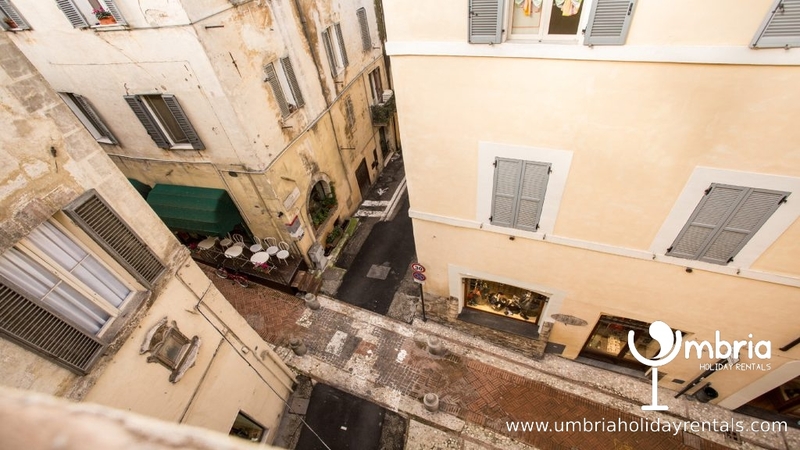 Or, you can walk. 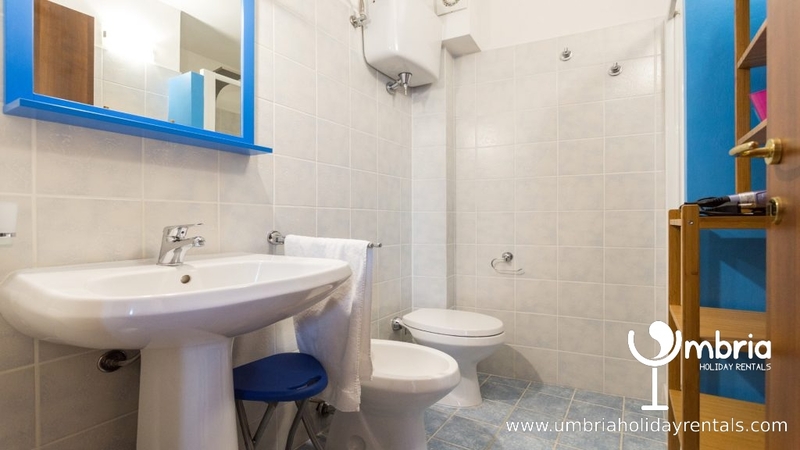 Everywhere is within walking distance ! 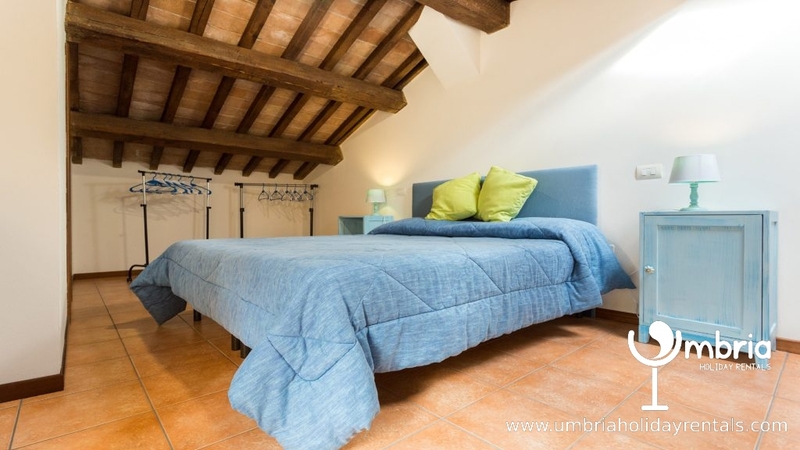 Nov 1 - April 30 : 600 euros/week, all inclusive. 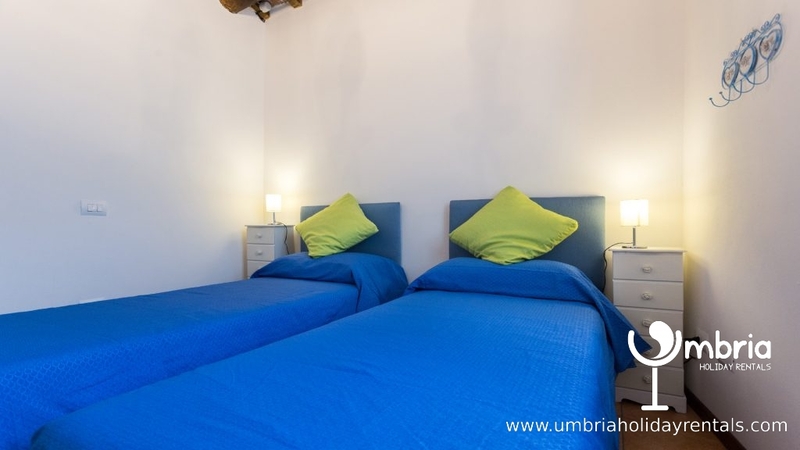 May 1 - Oct 31 : 720 euros/week, all inclusive.